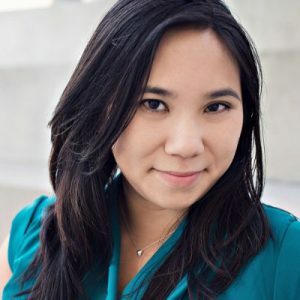 P. Kim Bui is the editor-at-large for NowThis News, focusing on original, social reporting and breaking news. Prior to NowThis, she was deputy managing editor for reported.ly, a digital media startup specializing in social journalism. Her career has focused on leading breaking news initiatives and working on new storytelling forms for digital, print and broadcast companies catering to local, national and global audiences. She’s run training and taught classes on digital and social journalism at universities, conferences and gatherings worldwide. She’s also co-founder of #wjchat, one of the longest-running weekly Twitter chats for journalists. 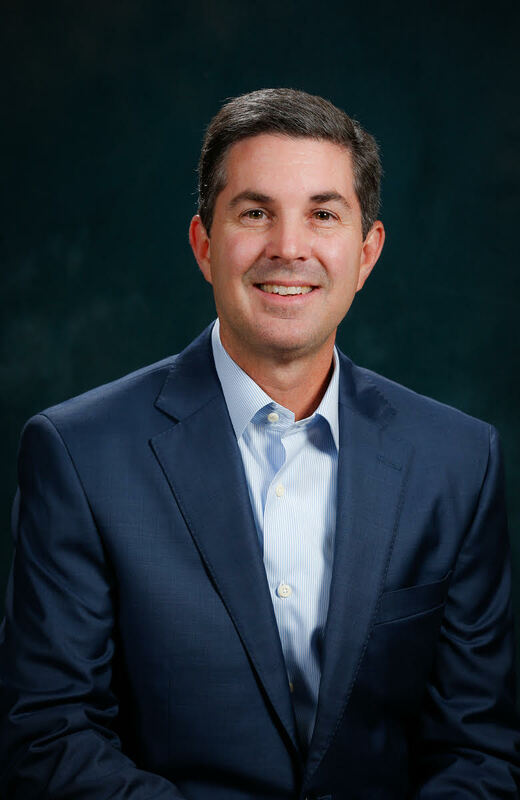 Mark Hulsey joined the Big Ten Network as Vice President, Production and Executive Producer in July 2009. In April 2014, Hulsey was promoted to Senior Vice President of Production and Executive Producer. Under Hulsey’s direction, the Big Ten Network produces more than 1,500 live events a year, including 1,000 streamed events through BTN’s innovative Student U initiative. Throughout Hulsey’s tenure, the network has been an industry leader in technical advancement for the production of live events. Big Ten Network was the first collegiate sports network to initiate the “at home” production model, allowing the network to produce hundreds of live events per year from their Chicago studios, rather than producing all live events solely on-site. Hulsey came to Chicago after serving as the Executive Producer at Fox Sports Midwest/Fox Sports Indiana/Fox Sports Kansas City since 2000. At Fox Sports Midwest, Hulsey administered the production of more than 450 live events for seven universities and professional sports teams in a six-state region. Additionally, he oversaw all live event studio pre-game and post-game coverage, collegiate preview shows and 30-minute specials. During Hulsey’s tenure, Fox Sports Midwest won multiple Emmy awards for best Live Event Special for coverage of the St. Louis Cardinals and St. Louis Blues. Hulsey also produced and directed numerous live events for the network. Prior to joining Fox, Hulsey served as the VP, Broadcasting for four years with the NHL’s Phoenix Coyotes. While in Phoenix, Hulsey created and oversaw the Coyotes in-house broadcast department. He received a regional EMMY award for the Coyotes telecasts in the first year of the franchise. His career also includes serving as the Director of Broadcasting for the NHL’s Colorado Avalanche and the Denver Nuggets of the NBA. Hulsey graduated with a degree in Film Studies from the University of Kansas. She is a visual leader, coach and educator who has evolved with the journalism industry over the last two decades. 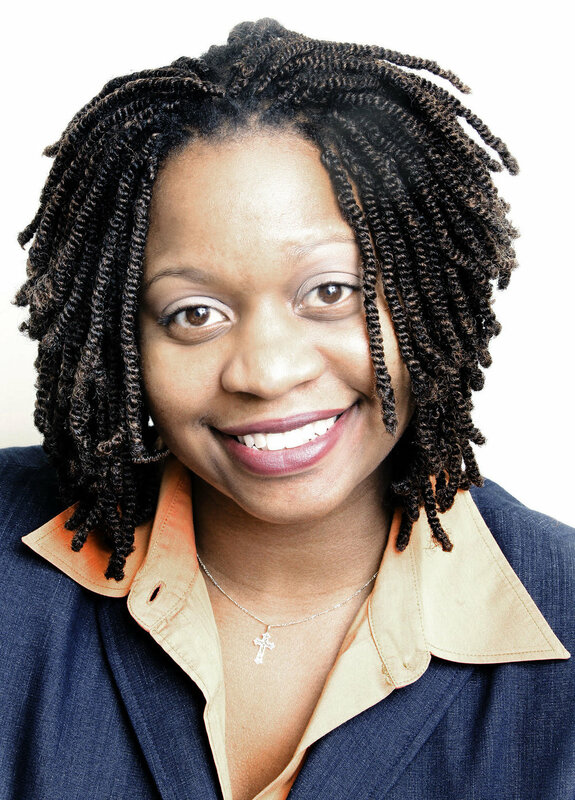 After receiving a Bachelor of Arts degree in English from Virginia State University, she attended The Poynter Institute in St. Petersburg, Fla. as a Visual Fellow. This academic boot camp changed her perception of photojournalism. It was there that she learned visual journalism more than just 'pretty pictures.' – it also came with responsibility to convey and share the truth. In the fall of 2000, she was a Chips Quinn Scholar at The Democrat and Chronicle in Rochester, NY, and later became a full-time photographer with the paper. After three years in Rochester, N.Y., she attended the S.I. Newhouse School of Communications at Syracuse University and received a Master of Science degree in Photography. A Pulliam Fellowship took Kenon to The Indianapolis Star, where she would spend the next eight years. She would soon take the roll of Assistant Managing Editor of Visuals at the Pittsburgh Post-Gazette in Pittsburgh, Pa.
. Kenon often teaches leadership and multimedia journalism to organizations like The Kalish, Multimedia Immersion and to the students of the National Association of Black Journalists. You can follow her on twitter @danesekenon. Ben Kreimer is a storytelling technologist who uses drones, virtual reality, 360° video, spatial audio, 3D reconstructions and sensor platforms. He advises journalists and storytellers on how to incorporate these emerging technologies into their work. He’s an adviser for the Drone Journalism Lab at the University of Nebraska-Lincoln and has given training courses at the Poynter Institute for Media Studies. He has guest lectured at Yale, Stanford, New York University, the University of California at Berkeley and other universities about technology and journalism. Ben introduced 360° video to BuzzFeed as the Beta Fellow in their Open Lab. He has worked with the Annenberg School at the University of Southern California, Columbia University’s Tow Center for Digital Journalism, The Times of India, CCTV Africa, SecondMuse and its innovation platform LAUNCH, the African Wildlife Foundation, Australia's Department of Foreign Affairs, Trade innovationXchange and others. Christopher Meighan is the director for Emerging News Products at The Washington Post. He leads a 30-person team made up of editors, designers and producers. Over the past few years, the team has launched The Post’s national product suite, which includes tablet and smartphone apps, a newsletter and an Apple Watch presence. The team also runs many of The Post’s distributed platform initiatives, including Apple News, Snapchat Discover and thelily.com. His team operates on an editorial philosophy and design sensibility that takes advantage of the small screen for mobile-first storytelling. The team is consistently in the innovations mindset, knowing that once something is launched, it’s on to figuring out what the next big thing will be. Emily Murtaugh is a marketing strategist working in the telecommunications, advertising and services industries. A University of Nebraska-Lincoln alum, she currently works within the Global Content and Media division of Verizon as a strategy manager, leading business analyses as well as content and partnership strategy across Verizon Wireless, Verizon Fios, Yahoo!, AOL, and Tumblr. Emily has previously worked as Marketing Manager for original series produced by AwesomenessTV, Complex, and Machinima, as well as coordinated PR outreach for top emerging talent such as Hayes Grier, Aspyn Ovard, Anne Winters, and Cameron Monaghan. He has been a foreign correspondent with just his phone since 2010 and covered the Syrian civil war. At Hashtag Our Stories, he’s empowering mobile video storytelling communities around the world, creating shows in every language. Almudena Toral is a visual journalist and filmmaker heading the feature video team at Univision News Digital's headquarters in Miami. The team covers the U.S. and Latin America through documentaries, photography, film, virtual reality, illustration and motion graphics. Previously, Toral taught video storytelling at CUNY Graduate School of Journalism in New York City, pursued her own projects worldwide as a freelance journalist and worked at The New York Times and TIME. She is a member of Fotovisura/GUILD. Zach is a Sr. Producer for Mobile Programming at CNN Digital. As a journalist he builds voice and arresting frames into the day’s top headlines. As a technologist, he helps create new and better ways to tell big stories on small screens. Zach works with his team daily to pair news instinct with data insight to craft mobile homepages that resonate brilliantly and engage users honestly. In 2017, he guided the editorial direction for the CNN core mobile app relaunch and continues to steer future iterations of the CNN app and mobile web sites. Before CNN, Zach produced apps for local TV news station KMOV in St. Louis and developed features for other stations across the US. He has degrees in political science, economics and journalism from the University of Missouri. Amy Schmitz Weiss is an associate professor in the School of Journalism and Media Studies at San Diego State University. She teaches journalism courses in basic writing and editing, multimedia, web design, data journalism, mobile journalism, sensor journalism, media entrepreneurship and spatial journalism. She is the recipient of the 2017-2018 San Diego State University Grant Program. Her project entails examining the intersection of journalism, social media and location-based services in today’s digital/mobile environment. She was the 2014-2015 recipient of the Challenge Fund for Innovation in Journalism Education by the Online News Association. Her research interests include online journalism, media sociology, news production, multimedia journalism, and international communication. She has published her research in several peer-reviewed articles, chapters and a co-edited book on a variety of topics related to journalism. Zach Wise is an award winning interactive producer, co-director of the Knight Lab and Associate Professor at Northwestern University. His work at the Las Vegas Sun and The New York Times has been recognized by ONA, NPPA, the Pulitzer Prize, the Peabody Awards , the Emmy awards, and numerous other industry honors. He has created several very popular tools for storytellers and journalists. Over 600,000 people have used Timeline JS and StoryMap to create stories seen by over a 100 million people each year. Timeline is also available in more than 65 languages and is used by major news organizations all over the world.